The previous 7 storey building was demolished and a striking new 8 storey building with basement developed in its place. 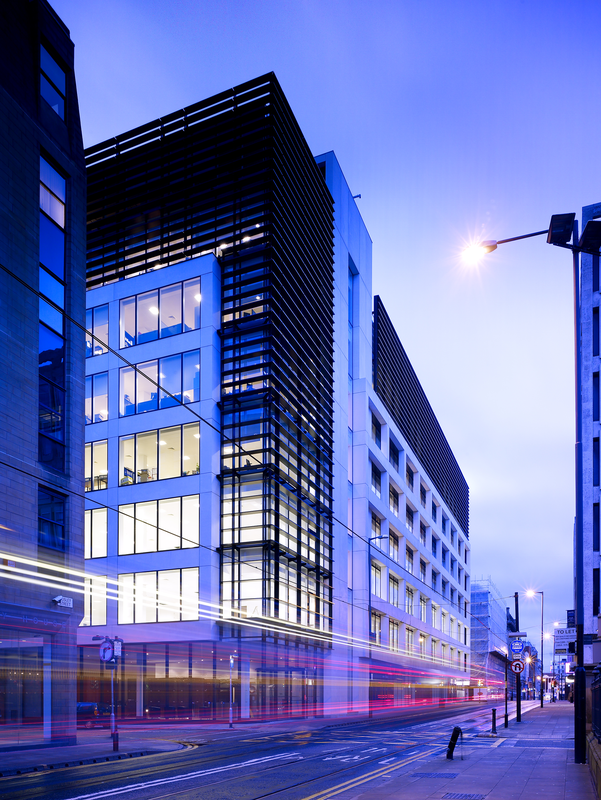 The new building provided 9,475 sq m (102,000 sq ft) of offices on 7 floors and 865 sq m (9,320 sq ft) of retail accommodation in four units on the ground floor. The development was forward sold to Alanis, with funding from Anglo Irish Bank. Whilst the whole building was leased to Cobbetts, Maple Grove Developments took a lease back of the retail units for a period of 10 years, so currently remain responsible for the letting and management of them. This is an illustration of the company’s flexible approach to development and disposal and the benefits of being part of the Eric Wright Group.